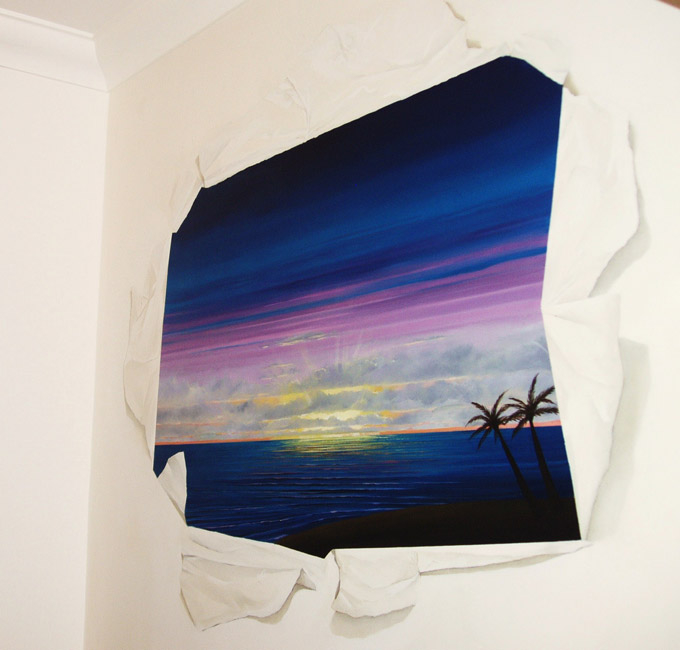 This wacky trompe l’oeil sunset mural was painted in the cloak room of a house in large modern house. 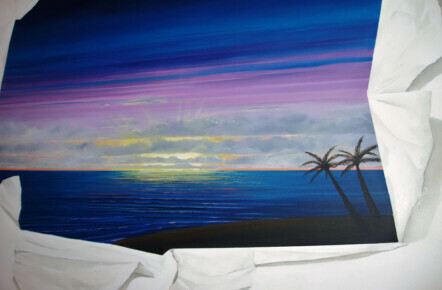 The clients wanted something fun and ‘outside the box’ to remind them of their honeymoon in the Seychelles. With this in mind I came up with the idea of creating the illusion of wallpaper having been ripped away revealing their hotel view at sunset. The three dimensional illusion of the ripped paper worked brilliantly and looked so realistic people were actually reaching out to touch it! 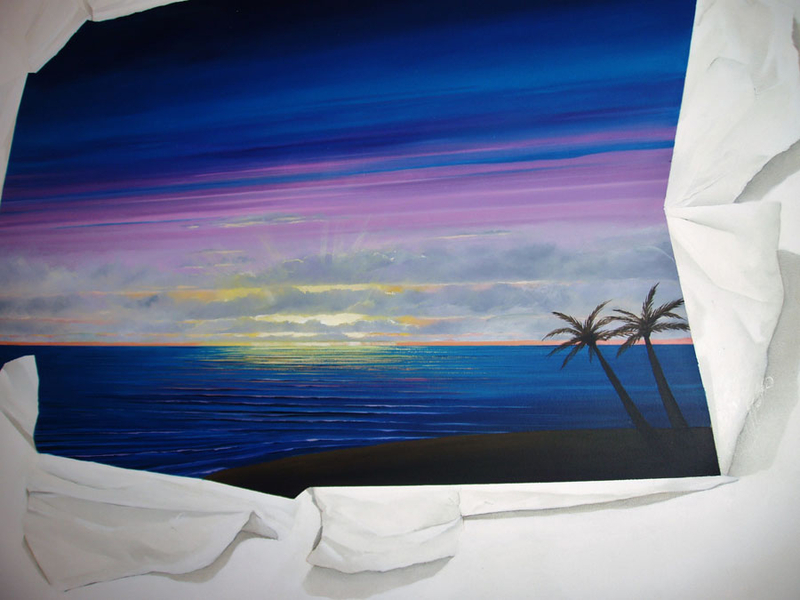 Please use the following links to see the Main Wall Murals Page, the Full Mural Gallery or the Main Trompe L’oeil Page.